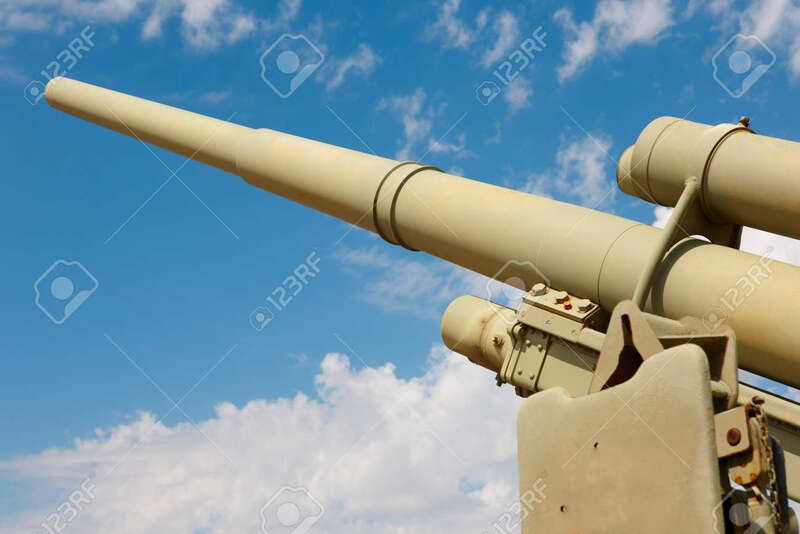 Cannon War In Green Tone With Blue Sky Background. Horizontal Stock Photo, Picture And Royalty Free Image. Image 40403506.